Gondola and lift upgrades: This winter, Whistler Blackcomb unveiled the new Blackcomb Gondola. Running from the Upper Village to the Rendezvous Lodge on Blackcomb Mountain, the new gondola rises 3.86 kilometres from bottom to top. This 10-person Doppelmayr lift carries 184 cabins and transports 4,000 people per hour. When combined with a ride on the PEAK 2 PEAK and Whistler Village gondola, it completes a continuous lift system of 13.5 km — a true feat of engineering. Additional lift upgrades that provide quicker, easier access to all levels of terrain include the new six-passenger high-speed chairlift that replaced the four-passenger Emerald Express chair in the Family Ski Zone on Whistler mountain; and on Blackcomb Mountain, more laps can be enjoyed with the new four-passenger, high speed chairlift replacing the triple-passenger Catskinner chair. Roundhouse Lodge Year-Round Umbrella Bar: Now open for it's second winter season, this 60 seat Umbrella Bar allows guests to embrace the natural surroundings from the comfort of a heated patio that features a collapsible roof to accommodate the weather conditions. The bar also features an adjoining wooden deck capable of hosting large functions. Cloudraker Skybridge & West Ridge Viewpoint: Whistler Blackcomb’s Cloudraker Skybridge and Raven’s Eye Cliff Walk opened summer 2018, offering a thrilling new way for summer sightseers to experience Whistler's peak. Located at the top of Whistler Mountain, the bridge spans 130m from Whistler Peak to the West Ridge, crossing high above Whistler Bowl and offering unforgettable views. The Raven’s Eye Cliff Walk viewing platform located at the end of the bridge is a cantilevered walkway extending 12.5m out from the West Ridge. The Cloudraker Bridge and Raven’s Eye Cliff Walk will re-open for summer sightseeing in 2019. 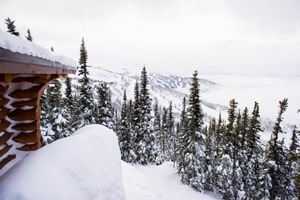 Epic Promise - Commitment To Zero: Whistler Blackcomb and Vail Resorts are aggressively pursuing a comprehensive sustainability commitment with the Epic Promise for a Zero Footprint. Started at Whistler Blackcomb, this ambitious undertaking commits to zero net emissions by 2030, zero waste to the landfill by 2030 and zero net operating impact to forests and habitat. Whistler Blackcomb’s 2016 The Big Picture Documentaries examined some of today’s most pertinent environmental questions. Whistler Blackcomb’s sustainability efforts have led to their 10th win as one of Canada’s Greenest Employers. Learn more here. Creekside Village is welcoming families to expereince a popup Gingerbread House this winter. 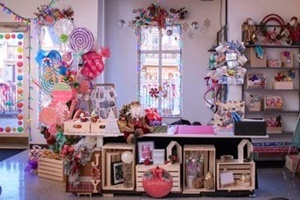 The space is adorned on the outside transforming it into a life-size gingerbread house, and inside the festive wonderland features a large play train, decorations, and gift wrapping. Little and big kids can design their own Cloud Cones (ice cream cone with cotton candy rim) and parents can enjoy coffee and hot chocolate while the kids experience the attraction. The Gingerbread House will remain open until spring 2019. 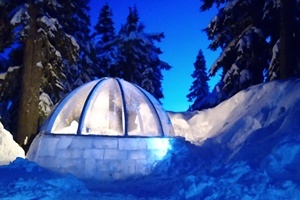 Canadian Wilderness Adventures is offering a unique après experience for all to enjoy this winter featuring warm beverages in a custom-built igloo in the picturesque valley nestled between Whistler and Blackcomb Mountains. Two Blackcomb Après tours are available: a family-friendly tour where guests travel to the igloo via heated snowcat and a moderate ability snowmobile tour up cat tracks and through old growth forest to the igloo. Tours run daily 4:30 – 6:30 pm. This winter Blackcomb Snowmobile is offering guests the chance to access a premium backcountry teepee via snowshoe in Whistler’s Callaghan Valley. 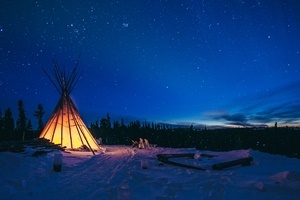 Two tour options are available: The Aprés Teepee Tour, where guests snowshoe through a forest illuminated by the night sky to the remote teepee, where an indoor fire, hot mulled beverages and charcuterie await. The Daytime Teepee Tour offers guests picturesque views and a brief history of the local First Nation’s traditions as they snowshoe, while hot drinks and snacks wait upon arrival at the teepee. Both tours are 2.5 hours round trip and are beginner and family friendly. Extremely Canadian’s new heli-assisted ski touring adventures combines the ease and excitement of heli-skiing with the serenity and challenge of ski touring. This unique and remote backcountry experience in the Coast Mountains features a full day of mind-blowing backcountry skiing, snowboarding or telemarking with an ACMG guide, plus transport to and from your backcountry location via helicopter. Backcountry locations include Mt. Currie, Cayoosh, Birkenhead or Snowspider, among others. Tours per group range from $2,006 to $4,396 plus tax, depending on the backcountry zone selected by guests, and can be up to four people of similar ability. Lunch, backcountry touring and avalanche safety gear can be provided for an additional cost. Whistler Village welcomes a brand new high-end retailer, Jonathan+Olivia, which opened its doors for business in late August. 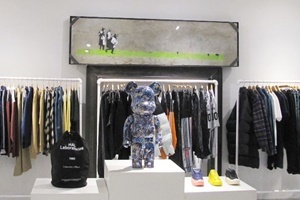 As Whistler’s first multi-brand fashion lifestyle boutique, Jonathan+Olivia carries a selection of global brands for men and women from the runway to contemporary mixed with high end streetwear, the most sought after sneakers and desirable lifestyle objects. The carefully curated selections by owners Jackie O’Brien and husband Nic Jones are designed to appeal to the appetites of international travelers, vacationing families, Vancouverites and locals alike. Shoppers also have the opportunity to view an original Banksy piece ‘Bombing Middle England’, which was installed in the Whistler store in December 2018. Located in the heart of Whistler, Pangea Pod Hotel redefines shared accommodation, offering proximity and privacy without the price tag. Pangea is geared toward solo travellers looking for both the leading edge design of a boutique hotel and the social vibe of a hostel. 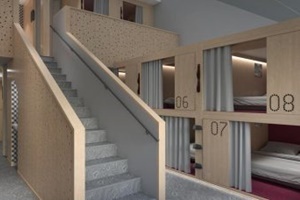 Pangea opened in August 2018 and provides an affordable option that doesn't compromise on location or style, and which offers essential elements of privacy in the form of boutique sleeping pods. Pangea features eight custom suites containing a total of 88 independent, comfortable and stylish sleeping pods. Pangea’s bathrooms are all located within the suites themselves (breaking with the traditional mold of shared dormitory-style facilities), and are separated into individually-accessed washrooms, showers, changing rooms and stand-alone vanities (Pangea has more than 60 of these bathroom components serving a maximum of 88 guests). - The Living Room, a design-forward lounge, bar, cafe and espresso bar which forms the social hub of Pangea, is perched right above Whistler’s iconic Village Stroll and surrounded by full-height, drop-down glass panels that make it feel like an outdoor patio. - The Rooftop Patio, Whistler’s only true rooftop bar, sporting views down to Mountain Square. - The Toy Box, an open-plan secure gear storage area for skis, snowboards, mountain bikes, and all accessories and outdoor wear. This winter, the Squamish Lil’wat Cultural Centre (SLCC) celebrates the importance of ceremony and tradition by offering a First Nations Winter Feast & Performance program, a series of interactive and culturally infused dinners that run every Thursday & Sunday until April 18. 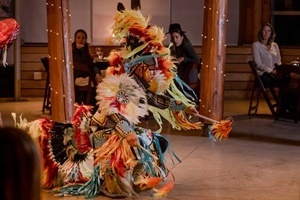 Through storytelling, music and dance, rich traditions from First Nations are shared with guests as they feast on an indigenous-inspired menu that highlights elements from the traditional territories, complemented by Indigenous World Winery wines and craft beer from local breweries. Performances take place throughout dinner service, featuring the SLCC’s Cultural Ambassadors and the Wells Family from the Lil’wat Nation. The evenings are family-friendly, and reservations recommended. Learn more via this blog and video. Tales of an Empty Cabin: Somebody Nobody Was… is the first major solo museum exhibition and largest survey of Joseph Tisiga’s work ever presented. 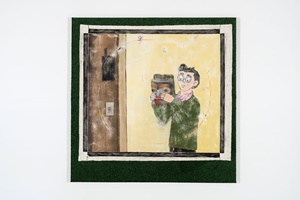 Curated by the Audain Art Museum’s Director & Chief Curator Dr. Curtis Collins, the exhibition will feature paintings, photographs, assemblages and an installation that spans the central arc of this young artist’s career from 2009 to the present. Among the new works by Tisiga, currently in production is a series of large scale Astro turf panels that offer material allusions to the land, while referencing Indigenous peoples’ relationship to their respective territories across North America. Also on view will be a selection of the artist’s oils on canvas and watercolours on paper from private and public collections in Ottawa, Toronto and Montreal, including recent acquisitions by the National Gallery of Canada. Joseph Tisiga is a First Nations artist from the Kaska Dena Nation, which straddles northern British Columbia and the southern Yukon. Tisiga currently resides in Whitehorse where he continues to play an active role in local social justice issues, while pursuing his artistic practice. Winter 2018/19 sees the Audain Ary Museum extending their operating hours on Fridays to 9 pm, allowing guests to enjoy a pre or post-dinner museum experience. For families - Family Studio Sundays offer an interactive and engaging art experience for kids weekly. Courtesy of the artist and Parisian Laundry. The Four Seasons Resort and Residences Whistler has launched a weekly Sunday Farmer's Roast at SIDECUT Modern Steak + Bar. A wintery twist on their legendary summer BEER-BQ, guests will find an exceptional array of breakfast classics and Sunday roast favourites – think eggs benedict and waffles to roast beef, bangers & mash, and Yorkshire pudding with gravy – complete with a donut wall, and of course, a rotating selection of local BC breweries and live music. 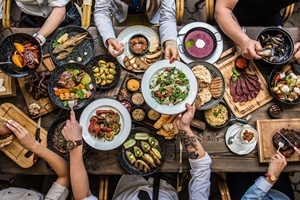 Sunday Roast is hosted 12-3 pm every Sunday until April 14, 2019. Cost is $49 per adult, $25 per child (5-11 years). 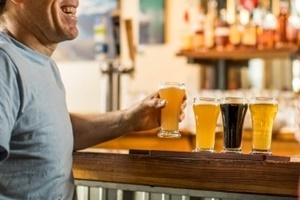 Whistler’s craft beer scene is on the rise, thanks to its three breweries and the various pubs and tap houses committed to offering seasonal, local and unique brews. Just launched, the Whistler Craft Crawl offers a tour of Whistler locales and the tasty brews they have to offer. Guests sample 16+ beers on this informative tour, guided by locals knowledgeable on the history of Whistler and B.C. craft brewing. Food is also included at two of the venues. Tours run daily at 1:00 pm and are open to ages 19 and over. 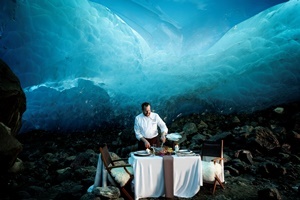 Four Seasons Resort and Residences Whistler and Head-Line Mountain Holidays have partnered to provide an extraordinary culinary experience set within an ice cave of cathedral-like blue. Introducing ‘The Blue Room’. 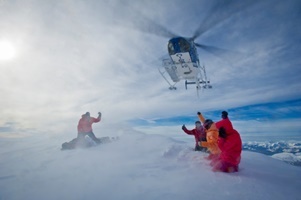 This unique dining adventure begins with a scenic helicopter ride to Canada’s largest, southernmost ice field, where wilderness experts provide a guided tour of natural ice sculptures and ice flows before arriving at the ice cave’s grand hall of aqua blue magnificence. Here, guests are served Krug champagne and a five-course gastronomic experience presented by Four Seasons Executive Sous Chef David Baarschers. The menu is designed to complement the essence of the location and includes Northern Divine caviar served on snow, oysters sourced from neighbouring Vancouver Island and grilled long bone with thyme roasted root vegetables. Participating in this experience also contributes to Head-Line Mountain Holidays’ “White is Green” Ice Cap Research Initiative with Simon Fraser University, facilitating hands-on student learning in a real world ice cap. 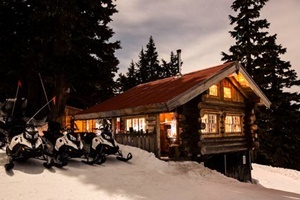 For an upscale backcountry dining experience, the Sproatt Steak Dinner tour involves an evening snowmobile adventure in the Callaghan valley to a rustic log cabin on Sproatt Mountain, where guests enjoy a three-course steak dinner prepared by the Bearfoot Bistro. The menu includes chef’s daily soup, Angus beef sirloin served with garlic mashed potatoes and seasonal vegetables, and feature dessert. Tours will run Tuesdays & Thursdays, 5 – 9:30 pm. Known to locals as WSSF, the World Ski & Snowboard Festival combines spring energy with Whistler's unique mountain culture for five days of non-stop events and action on and off the slopes, including ski and snowboard competitions, art, photography, filmmaking and music. Billed as the steepest ski race in the world, the Saudan Couloir Race Extreme returns following its successful resurrection at 2018’s festival, alongside Big Air competitions and finals of the Monster Energy Boarderstyle World Championships. MULTIPLICITY presented by Mountain Life Media (April 10): A unique showcase of inspiring speakers, this event is like a Ted Talk for the mountain-minded. Pro Photographer Showdown (April 11): Features breathtaking slideshows created by top action sport and lifestyle photographers. Swatch 72hr Filmmaker Showdown (April 12): This event challenges filmmakers to shoot, edit and produce a complete short film in 72 hectic hours. The results are always a treat. 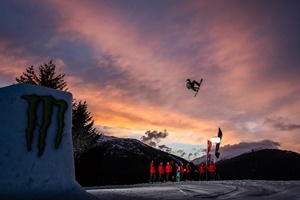 CLIF Intersection in association with Protect Our Winters Canada (April 13): A showcase of killer ski and snowboard edits, with all footage from within 100 km of Whistler. Swatch ART + Soul (April 10-14): a popup gallery featuring the work of Sea to Sky artists, the art encompasses everything from canvas to skateboards, inspired by nature, sport, and notion of pushing the boundaries. Closing out the festival in a unique display of talent and style, the Slush Cup invites those daring to charge through spring snow and send it across the icy slush pond.